Union Jack Car Flag - Cloth - 18" x 12"
Union Jack Flag on Stick - Cloth - Pk 4 - 18" x 12"
The current design of the Union Jack flag dates back to 1801 following the Union of Great Britain and Ireland. The design brings together the national flags of England, Scotland and Ireland. We have a huge selection of Union Jack items, perfect for showing off British pride. We have a variety of sizes of British flags. They can also be flown from flagpoles. Hand waving flags are popular and again these are available in different sizes and materials. 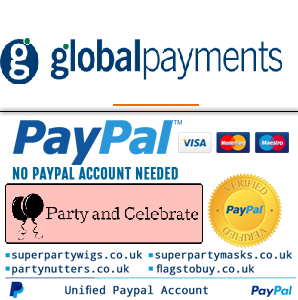 Cloth or plastic bunting is a regular seller, with it being used in street parties or to decorate homes and businesses.